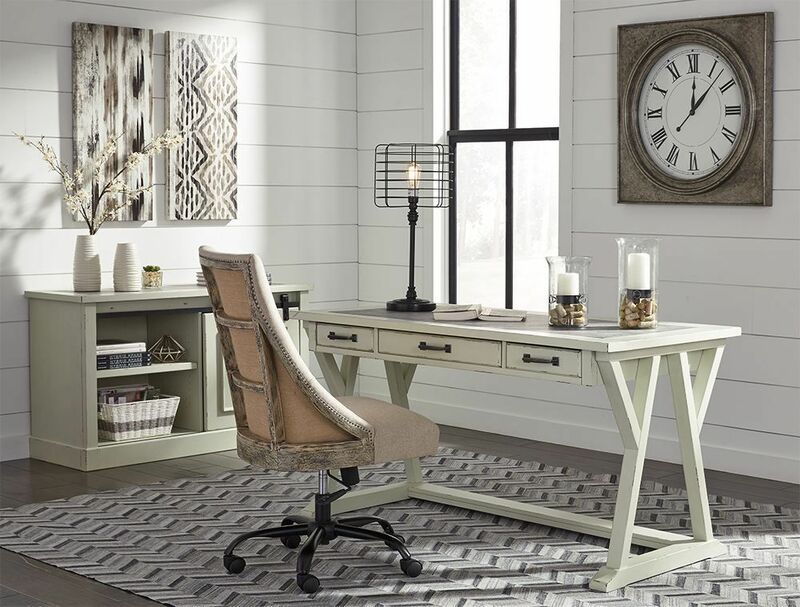 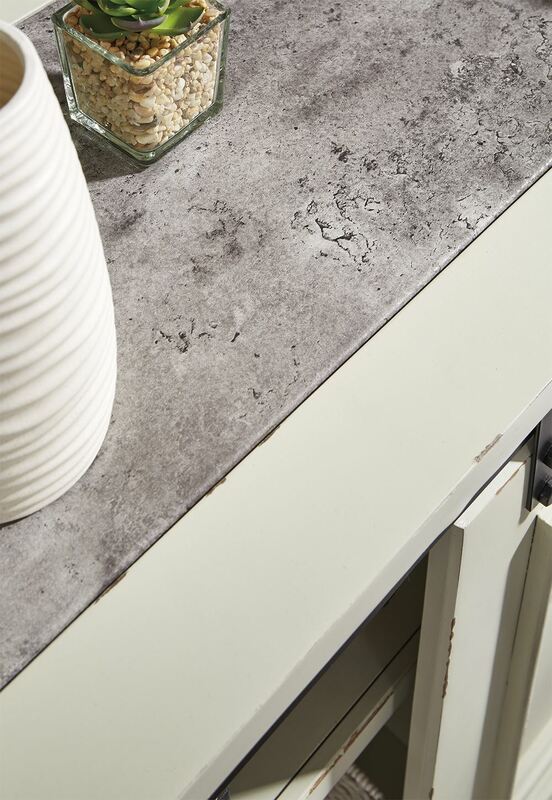 Create a clean, farmhouse look in your home office with the Jonileene Home Office Cabinet. 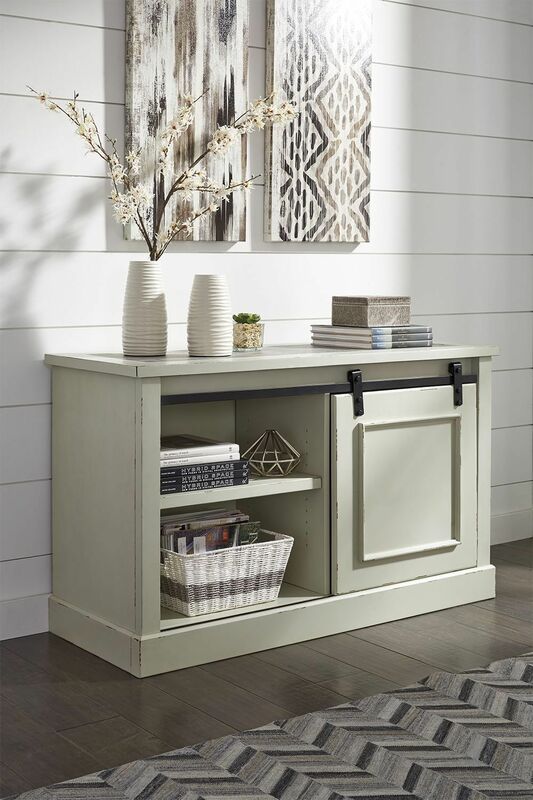 Made with paint grade materials and finished in a chipped white color, this storage essential exudes casual charm and delightful charisma. 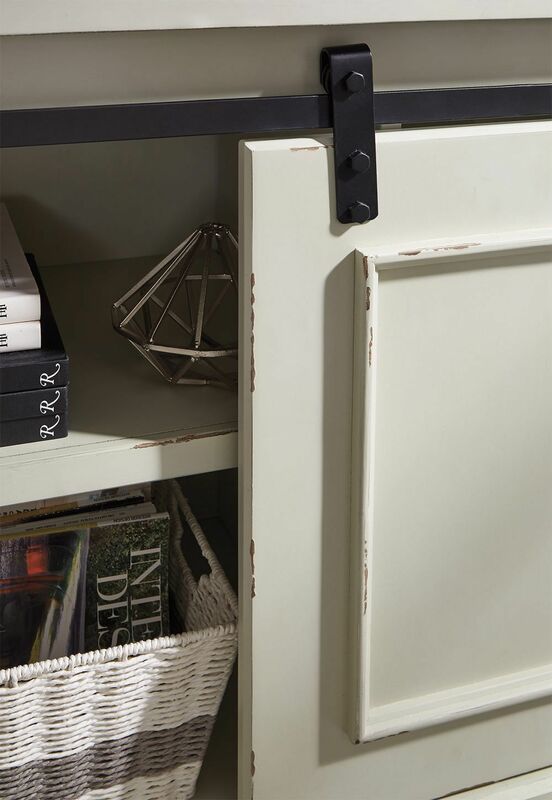 Its canted and angled elements and barn door hardware beautifully complete the look. 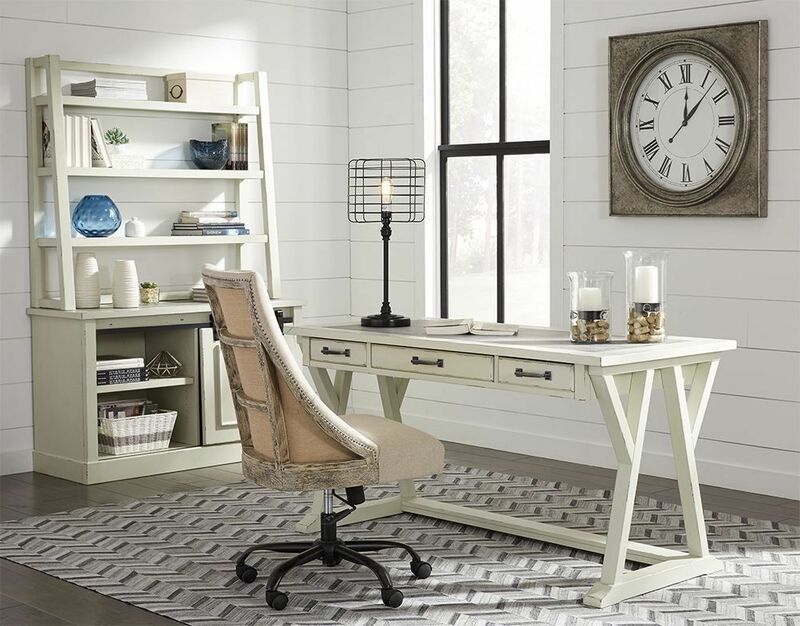 The fixed shelf and sliding door storage provide ample space for your office essentials, helping keep your home office tidy and organized. 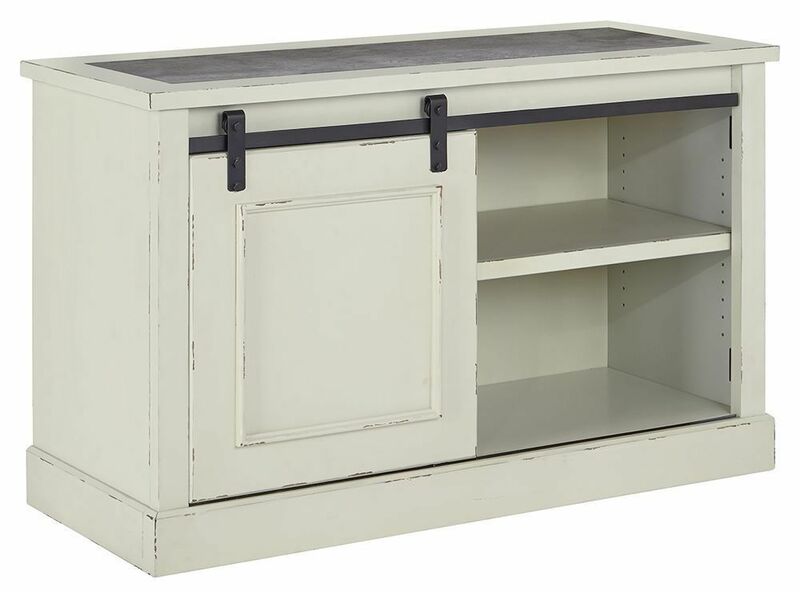 Create a clean, farmhouse look in your home office with the Jonileene Home Office Cabinet.